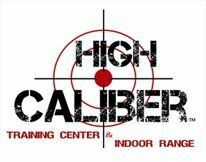 High Caliber Training Center & Indoor Range offers a state-of-the-art shooting facility for shooters in East Central Illinois. The 11 lanes are open to the public and rated for most pistol and rifle calibers. Contact us for more information! !